Hello lovely readers, I hope you all had a lovely weekend and you're ready for the week ahead. So I have fallen in love, with a mascara, Benefit's They're Real Mascara to be exact. Beautyspin were lovely enough to send me this mascara, which came at the perfect time as my Roller Lash mascara had just run out. Beautyspin sell a huge variety of beauty products at awesome prices so if you want to check them out you can at beautyspin.co.uk. 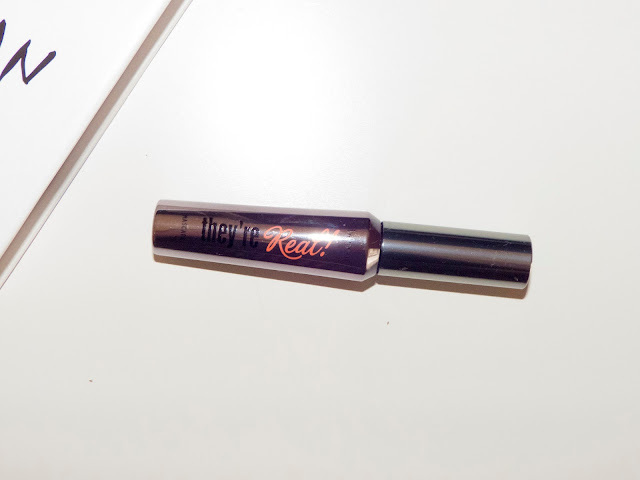 So today I am going to be sharing with you why I love this mascara so much. Firstly the consistency is gorgeous, lots of mascaras I use come out too thick meaning that I end up with loads of clumps in my lashes, not a good look. But with They're Real the consistency is just right, not too much and not too little, meaning that I am able to apply my mascara without it getting clumpy. My favourite thing about the mascara is the length it provides my lashes with *claps hands happily* I am super paranoid that my eyes are too small, I know it's silly. So I am always on the look out for a mascara that will give me length and make my eyes seem bigger and boy have I found it. In the picture below I have used one coat of the mascara and the length is incredible. 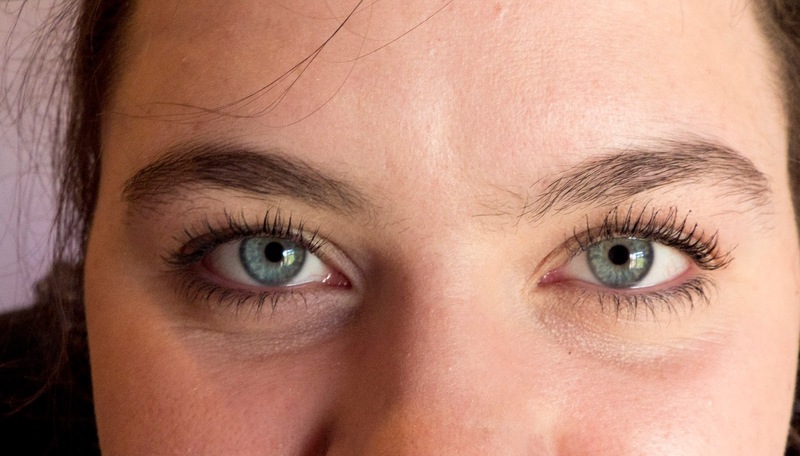 My lashes are so much longer, so my eyes look bigger and I look more awake (even if I am not feeling it). The staying power of this mascara is so impressive, considering it's not waterproof. I applied it before going to work in the middle of a heatwave and I work with kids (which means a lot of rushing about) when I finished work it was in the exact same place, looking just the same as it did before. It also dries really quickly so there is no waiting around for ages and no having wipe mascara off your eyelid. I genuinely cannot fault this mascara and it definitely is going to be a makeup staple for me now. If you would like to try out this mascara for yourself you can find it here at beautyspin.co.uk. I hope you enjoyed this review! 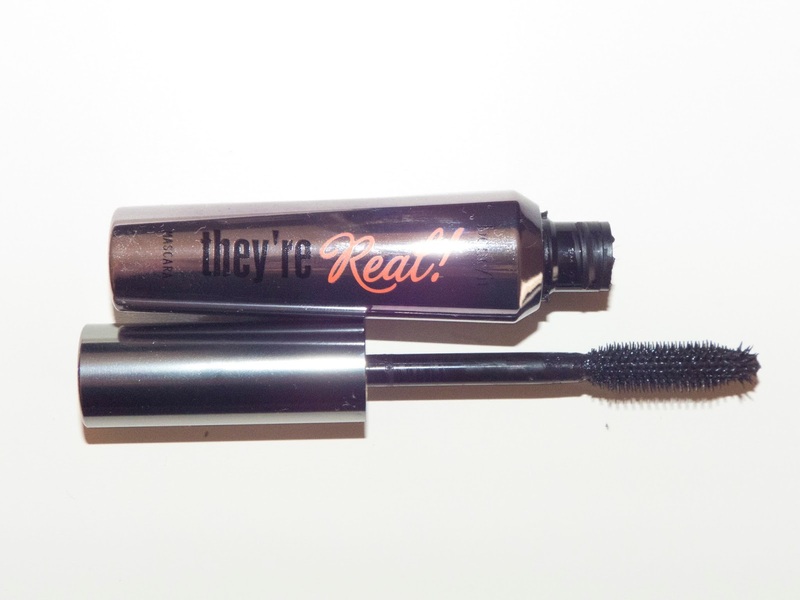 Have you tried Benefit's They're Real mascara? I've never tried this mascara but it sounds like a life-changer! Lovely post. It's so good, I definitely recommend it. Thanks for dropping in! LOVE this mascara! I'm just a sucker for Benefit in general because of their packaging. Their products are always so good! Haven't been disappointed yet, and this mascara is one of my favourite go-to's! I'm always switching up my mascara though. I'm probably going to repurchase this now, especially since I just ran out of mascara. I am a big fan of Benefit too and this mascara is definitely my new favourite. Thanks for stopping by! I still need to try this, looks lovely on your lashes! Aw thank you I really recommend it. Thanks for popping in!